Earlier this year the Japanese auto maker Yamaha introduced the YZF-R3. 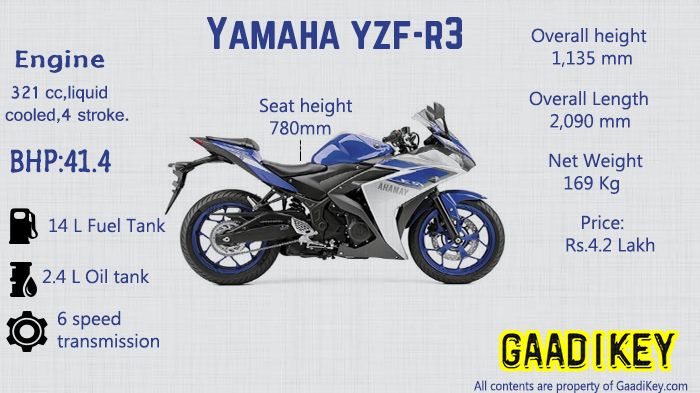 The Yamaha YZF-R3 is powered by 320cc twin cylinder, liquid cooled engine which generates around 29.6 Nm of torque. The Yamaha R3’s engine is coupled with constant mesh 6-speed transmission. R3 has telescopic front suspension and a swingram suspension at rear. R3 is equipped with a dual disc brakes for its front and rear for good braking performance. The R3’s is experimented with a new R-series technology which includes direct-drive camshaft, forged pistons and low friction cylinder. 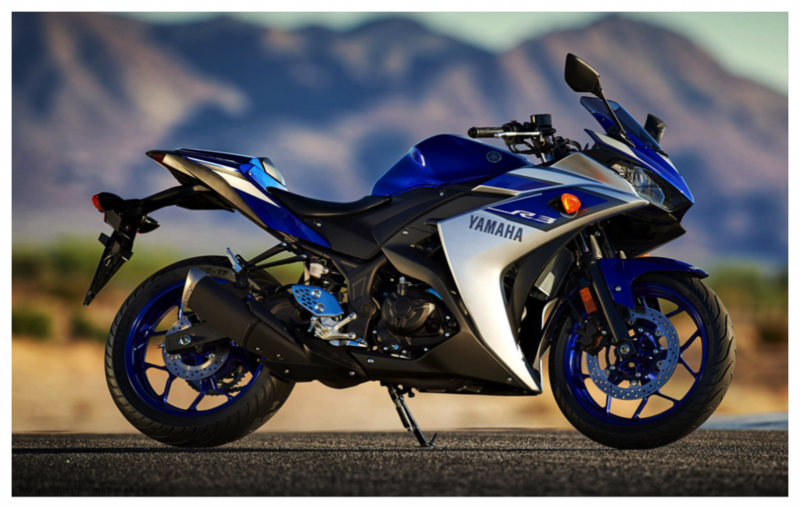 Yamaha YZF-R3 has some major competitors like the Ninja 300 and the KTM’s RC 390. Coming to the price point, Yamaha yesterday officially revealed the price of YZF-R3 in European markets. R3 is priced around 5,395 euros which about Rs.4.2+ lakh in Indian currency. The New R3 is available in two colours , the Race Blue and Midnight Black.